Straight off the plane and 26 hours since departing Adelaide, I land in Switzerland and jump in an Uber direct to the Institute of Technology in Architecture (and best vista of the lake-side city) at ETH Zurich. One of the greatest moments in the lead up and planning of this travelling fellowship was the willingness of new faces and experts in their respective fields to respond to ‘cold-call’ emails and accept the invitation to chat. Today is an exemplar example of that. 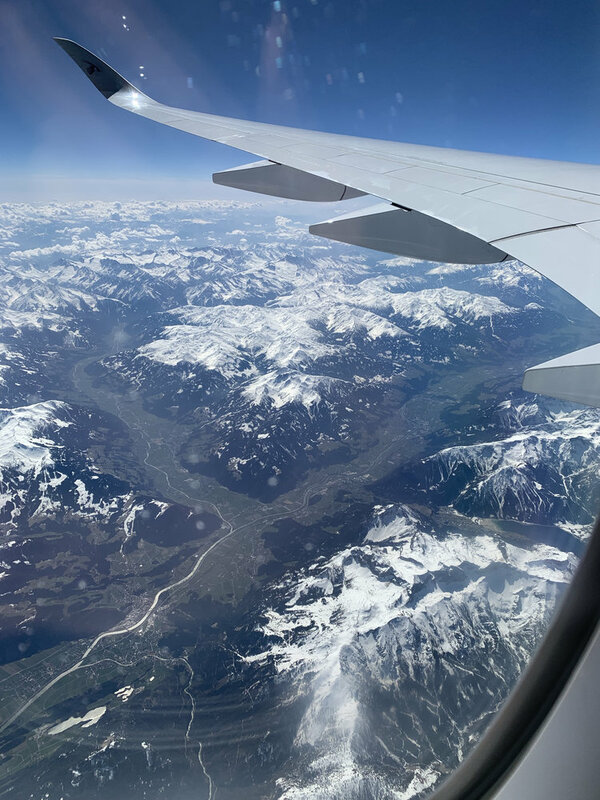 I reached out Philippe Block of ETH Zurich’s Block Research Group after learning about his faculty’s research and application of ideas throughout Europe. He is a leader in the field of geometrically-optimised structures, a focus which is informed by his background in both the architectural and engineering disciplines. 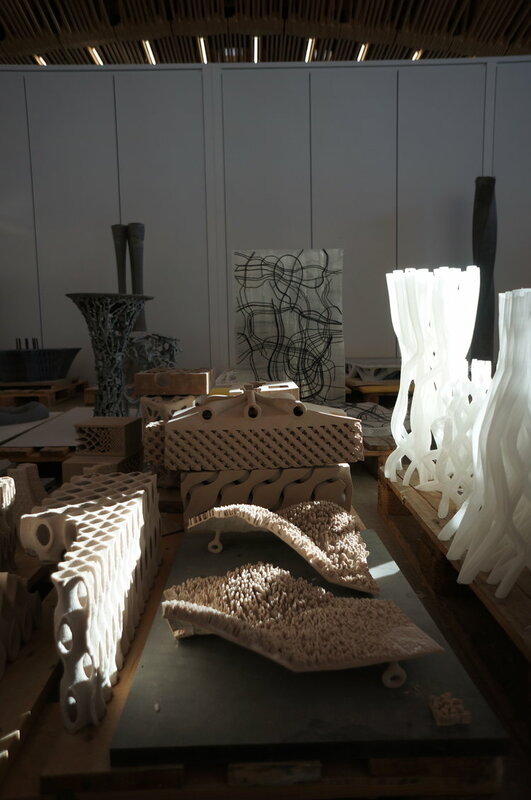 In 2016 his research group’s works was demonstrated via a large-scale installation at the Venice Biennale, a project that proved the capabilities of blending modular computational fabrication and specialist masons in achieving a self-supporting shell structure of interlocking parts. 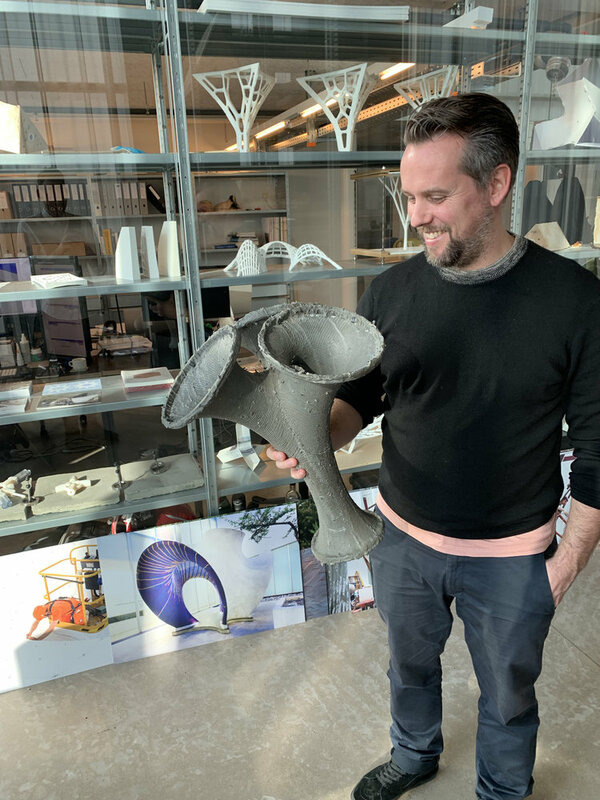 I was lucky enough to catch a glimpse at the various evolving scales of prototypes on show at BRG’s facility that lead to the full-scale realisation of a new approach to design. My discussion with Philippe centred around this idea of new. 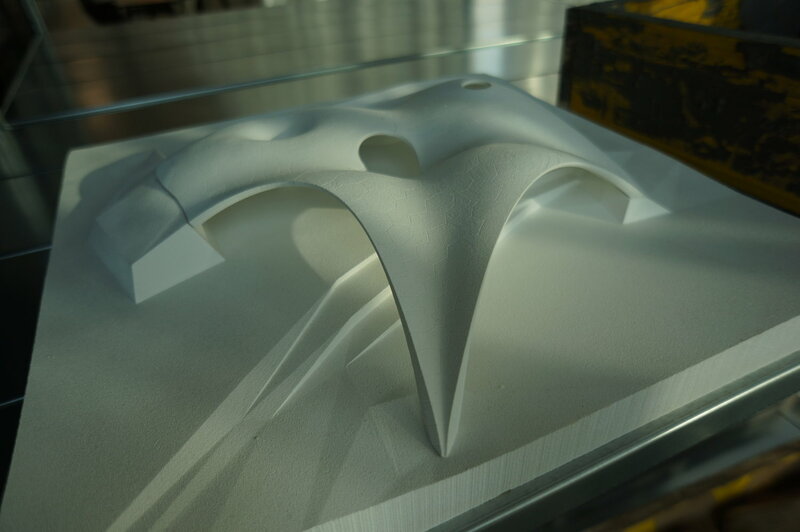 How do you champion truely new approaches to design, architecture, engineering and material systems. What are the challenges? What are the limitations? The work that BRG is exploring looks to rethink the way we construct in order to cater for this increased material demand. 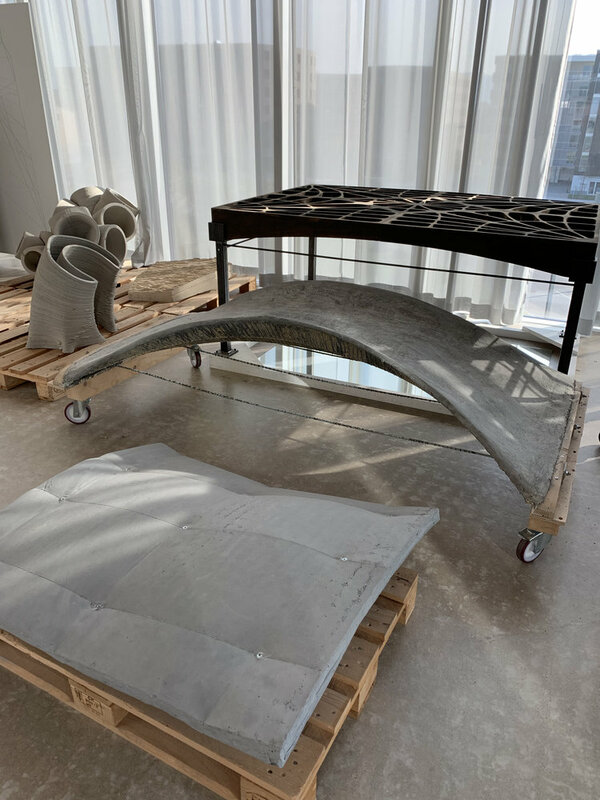 The array of recent projects investigate methods to minimise material consumption while retaining the structural integrities the former, heavier approaches provide. 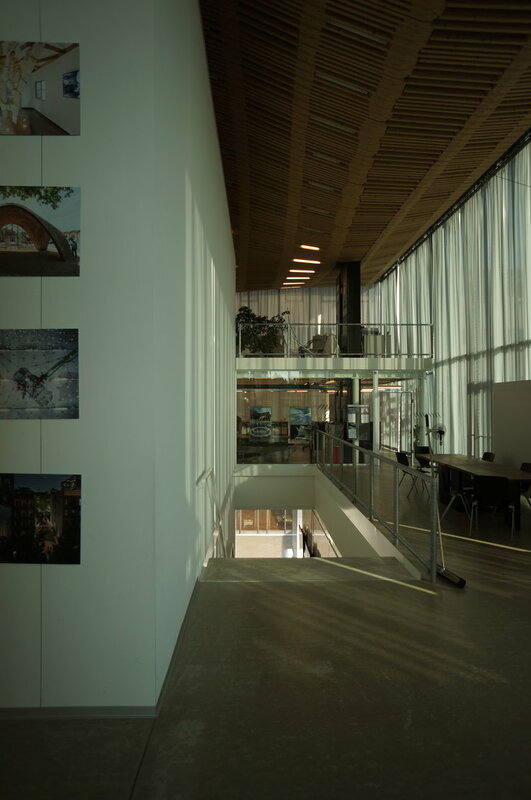 As a one-two-punch of sorts, not only are BRG utilising geometries to reduce material input, but for projects like their in-progress NEST HiLo Unit the research group is custom-knitting concrete formwork out of fabric-thread, reducing the waste and trade and time-heavy properties of timber formwork. That’s amazing! 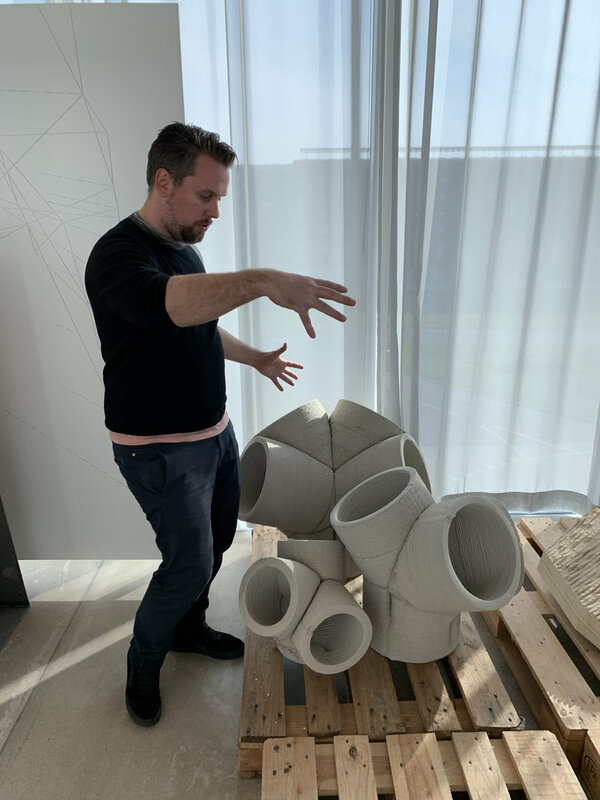 Philippe emphasises this by showing me part of the knitted formwork used in their early prototypes – a knitted object that is digitally manufactured on their in-house weaving machine, folded down and transported to site in a suitcase, and constructed on site by two tradesmen. 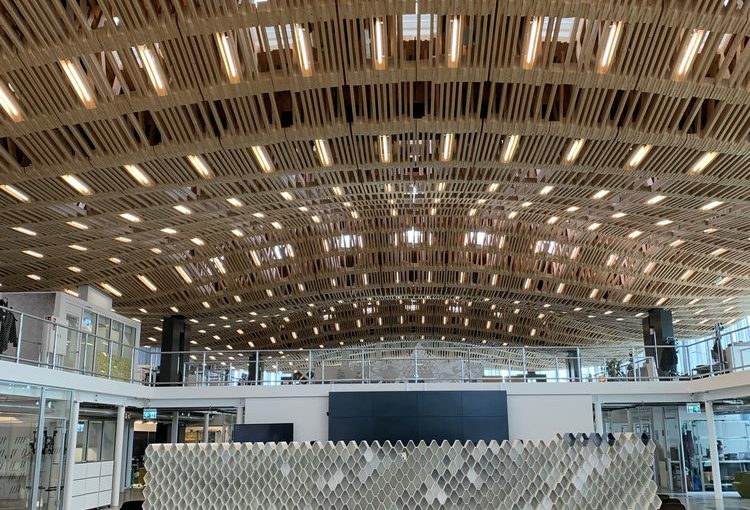 By making the physical components of buildings leaner via the process of computational optimisation and fabrication, the benefits to reducing the built-environment’s impact on resource consumption are obvious. I was later taken on a tour through the impressive dedicated facility that is enabling the experimentation of these concepts. 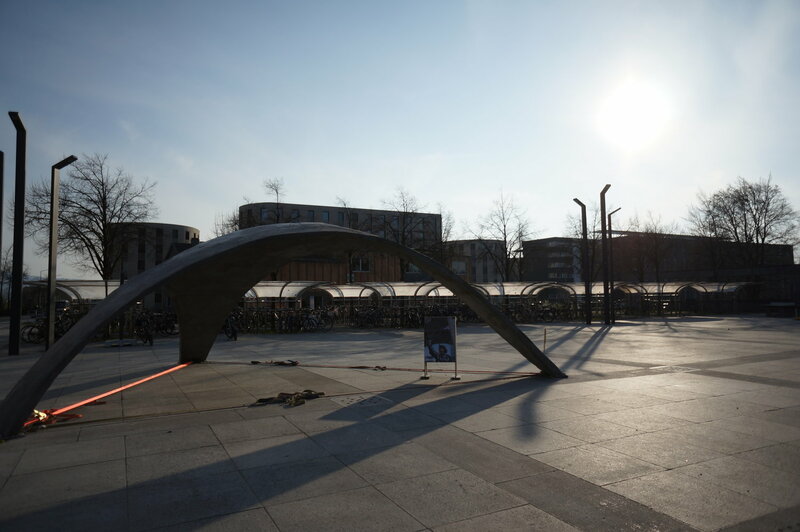 Research labs, break-out spaces, 3D and knitted printers, and the main show stopper; a 70-metre-long fabrication space. 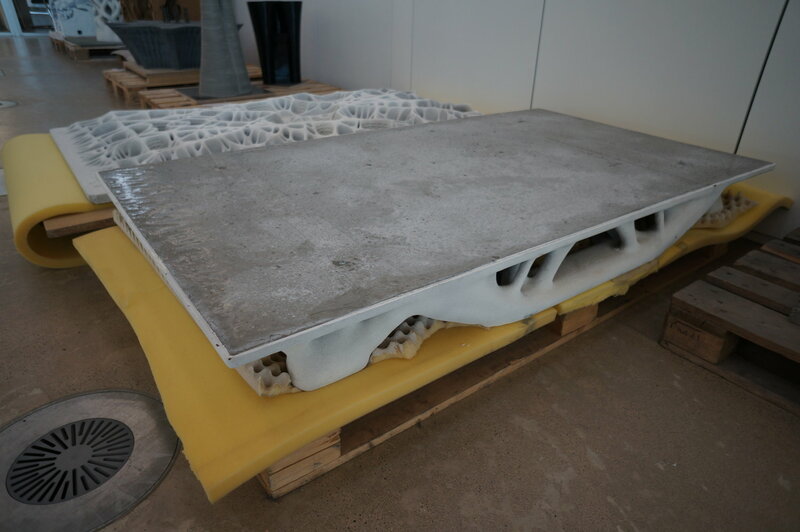 The space allows both Block Research Group and Digital Building Technologies to continually test the capabilities of their findings, and physically produce solutions and applications that can directly improve established built environment systems of construction – like this sculptural concrete slab utilising self-supporting geometries with minimal material input! Take the risks, do it well, and do it right.